A beautiful hand-made broadsheet size leatherette binder. 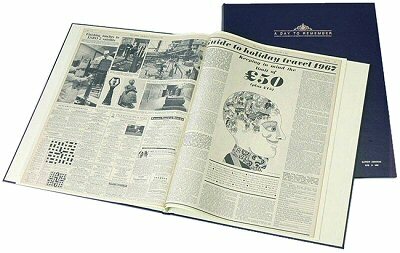 This full-size book holds your complete newspaper unfolded, allowing for easy reading and protects your historic newspaper. 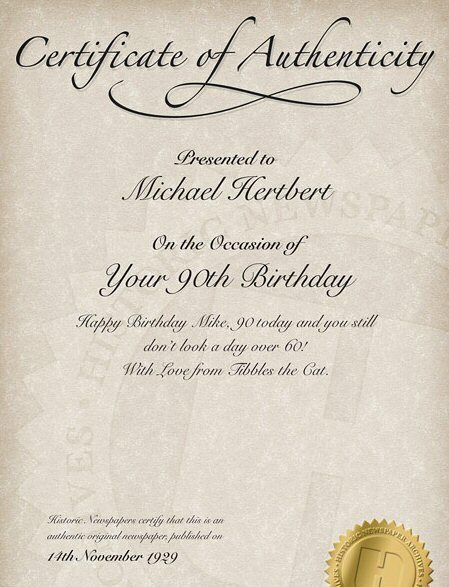 Also included is a personalised Certificate of Authenticity. 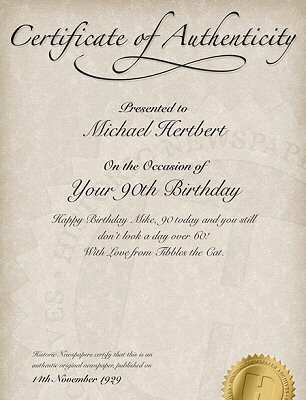 For an additional £5.00 the book and be personalised with the name of the recipient gold embossed on the front cover. Please Note – This book is designed to hold broadsheet newspapers, and is not suitable for newspapers issued after 2003. Note: SUNDAY newspapers incur an addtional charge of £20. For an additional £ 5.00 the recipient’s name can also be embossed on the front cover of the book.